My "Not Daily" Journal – Page 4 – A not so daily journal of my thoughts and opinion on the world around me. Who am I referring in the title? His name is Rick Perry, he is the governor of Texas. This person held a religious event on Saturday, Aug. 6, 2011, in Houston, Texas to ask god for answers to the nations troubles. The press reports that it was well attended by thousands of evangelicals. The following quote is taken from the AP news article ( http://m.apnews.com/ap/db_16028/contentdetail.htm?contentguid=Bp8qNUAh ): “The event was Perry’s idea but was financed by the American Family Association, a Tupelo, Miss.-based group that opposes abortion and gay rights and believes that the First Amendment freedom of religion applies only to Christians.”. This group is an extreme fringe group. Perry mixed politics and religion freely during his quasi religious event. He even huddled with, what passes as, ministers to pray. His words show that he, denies the truth, does not accept responsibility and blames someone else. He is appealing to a republican fringe, who by voting often, give the impression that they are the mainstream voter in the southern and central states. He is actively courting the righteous right. He is not interested in moderates and liberals. He is mixing religion and politics and does not see the difference. The religion he uses is exclusionary, no Jews, Muslims or the non-evangelicals. He should become another one of the many exclusionary evangelical preachers, instead of coveting the presidency. The really scary thing, how many sharing this view have been elected to Congress, state legislators, as governors, to school boards, county and city governments. How many are now running for elected office? This is how I stopped smoking. Your results may vary, it depends on your self control, willpower (lots of it) and the strength of your desire to stop sucking on fags. The steps I took worked for me and as of 7/28/2011 it has been 2 years, 10 months and seven days since my last cigarette. No drugs or expensive aids were used. Stuff the stop smoking marketing and putting money in the drug makers pockets. Just so you know what you are getting into. Cigarettes are one of the most addictive things you can get hooked on. When you try to stop cold turkey, you get headaches, weird feelings and a craving that you would kill your mother over if if she stood in your way of getting a cig. Now, here are the steps I took to quit. The time it takes depends on the willpower and self control, the stuff I mentioned earlier as being essential. The first thing you must do is recognize that you are addicted to cigarettes. One you recognize and accept this condition, you must then determine if you want to quit. This is very important. If you do not want to quit, you won’t. Period! Stop here and go light one. If you cough often, think about coming back and reading more. Next, you must determine what activity is linked to having a smoke. One of the most obvious for most people is, dinner and a cigarette after you have finished eating. Another is coffee and a cigarette or drinks with cigarettes. The list goes on. First, identify the links. Why must the activity and cigarettes be identified? One of the things you must do first is break these links. After dinner or eating, do not smoke. Do something else. Anything but smoking. Break the links. This step us very important. Skip this step or fail to identify the links will cause you to fail in your effort to stop smoking. This step should take you about two to three weeks. You can write it down or not. I did not write anything down, just a mental note. I did not say that this would be easy. It is hard and takes commitment. Here is the good part. Keep smoking. Just do not smoke after dinner, or with drinks at a party, or with coffee or any activity you have identified with smoking. Here is the zinger. At the same time you are breaking the links, you must also stop caffeine. Caffeine is also an addictive substance. You have to stop drinking coffee, Coke, Pepsi and any other drink with caffeine as an ingredient. When you stop caffeine you will get headaches and feel weird for a couple of days. I used a painkiller for the headaches and they eventually will pass after a day or two. Once you have stopped or broken the addiction to caffeine, it takes about two to four weeks, you can now start to break the cigarette addiction. At this time, you should have broken the link between cigarettes and your activities linked to cigarette smoking, as well as, your addiction to caffeine. Now is the time to start weaning yourself of of smoking and the addictive drug nicotine. You start by counting the number of times you smoke in a day. Make note of them. This is important because you are going to cut down the number of times a day you have a cigarette. You are going to wean yourself off the noxious weed slowly, until you are down to one cigarette a day. When you reach one a day, you just stop. You are still addicted to nicotine, but it is a mild addiction easily broken. If you are going to use the drugs, now is the time. I did not, so keep reading for the method that worked for me. This is the method I used to wean myself of the cigarettes. This is where the willpower and self control mentioned at the beginning of this post becomes very important. 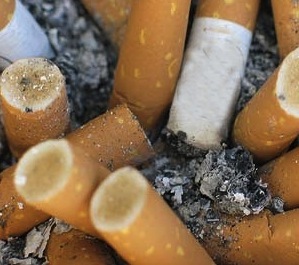 You now know how many cigarets you smoke a day. The day you decide to quit, the regimen to follow is simple but hard. Backsliding is permitted and even desirable. Do not let guilt about backsliding and sucking on a few more fags impede your progress. Start by only smoking when your body tell you that you must have a cigarette. You will know the feeling. Headache, shakes, weird feeling. When this is your state, go smoke. Enjoy it. Have two if you want to. Do not smoke again until you get the feeling. After a two weeks, you should be smoking less. In some cases not much less. Now is the time to to power throughout the feeling of needing to smoke. When you get the feeling that you have to go and smoke, try and delay going to smoke. This takes will power and self control. Do not worry about breaking down and going for a smoke. Failure at this point is acceptable and should not be a cause for guilt. The goal is to reduce the number times you smoke a day. What I did was to drink a lot of water. This helps to flush the toxin called nicotine from your system and takes away the urge to do something with your hands and mouth. Drink a lot of water. You are not just breaking an addiction, you are substituting the activity of smoking with some other activity. The activity can be anything else. Smoking alleviates boredom when you have nothing to do. It give you something do with your hands and mouth. As you wean yourself off of tobacco, the number of times you smoke per day should be decreasing. If the number of cigarettes is not decreasing you are not trying to break your addiction. Give up and start over when you are ready to quit. When you keep reducing the number of cigarettes you smoke, you will eventually get to smoking one cigarette a day. Do this for a week. Now is the time you to throw away the pack and stop smoking. Your addiction at this time is mild to minimal and it is just the habit and mouth feel of smoking you have to get over. Try not to substitute eating. You will put on a lot of weight. When you finally stop the hard part begins. You will get urges and have the desire to smoke constantly. It will take one month before the urges diminish. The urge will never go away. They just get less urgent over time. Once you pass the first month, you should be able to claim that you are smoke free. The longer you are smoke free the less likely you are going to start smoking again. Be warned, once an addict always an addict. To start smoking again, all you need is an excuse. Some people quit many times before they are successful. Give this method a try. It worked for me, it may work for you. This is a notice that the West Nile Virus has been detected in a chicken during regular testing in the North Miami area. Specifically, the chicken is located in Keystone. While this does not mean that human infestation is imminent, it does raise our awareness to prevent human infection of the disease by preventing mosquito bites as best as possible. The Miami-Dade Health Department is monitoring this situation. The city of North Miami is sharing this information with our residents as a precautionary measure. 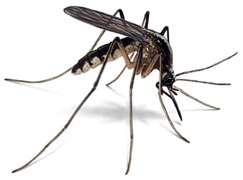 We urge you to take personal precautions against mosquito bites at this time. The City of North Miami has contacted Miami-Dade County to request an expedited aerial spraying of all areas of the city. County Commissioners have also been contacted. Early word says the spraying is expected on Saturday, July 23rd. Please survey your property and remove any standing water. At this point, it is important to note that this is a precautionary measure as the virus has not been detected in humans as yet. Please continue to check the City of North Miami website for updates. What did Florida do to deserve this? Florida has elected a man with a reputation not many would want. This person spent a big chunk, more than $73 million, of his personal fortune to get elected. He wanted to be governor, really, really, wanted to be the governor. Why? Here is some background on the 45th Governor in Florida. He is an aggressive Self-made millionaire who goes after what he wants. He has a business degree and a law degree. He graduated, then practiced law with Johnson & Swanson in Texas. While he was at the law firm he use his contacts to back a bold bid to buy the Hospital Corporation of America (HCA). The bid was rejected by HCA. This did not stop Scott in his pursuit of a hospital corporation. In 1988 he and a very rich financier each put up $125,000 to form the Columbia Hospital Corporation. They borrowed millions to buy two hospitals in El Paso, Texas. They bought a 3rd hospital in the area and shut it down. This net effect was to reduce the available beds and drive more patients to the Columbia hospitals. Instead if three struggling hospitals, their are now two successful hospitals. The question that is not answered, how did Scott treat the employees who were affected by the hospital closing? His attitude and actions in the state affecting people makes me wonder if he screwed the employees and walked away. Columbia Hospital expanded aggressively by buying other hospitals on other states. After each expansion, Scott still ran the company. As head of a large hospital corporation he was making millions in compensation and stock options. He then set his sights on HCA, the original acquisition target. He got it in 1994 and made his company the largest healthcare provider and ranked as one of the 50 top companies in the USA. Quite an accomplishment, but was it? It seem that the company was built on defrauding Medicare and Medicaid. When didn’t start? Only the managers would know and they are not talking. He was forced to resign “Following the raids, the Columbia/HCA board of directors forced Scott to resign as Chairman and CEO. He was paid $9.88 million in a settlement. He also left owning 10 million shares of stock worth over $350 million” (quote; copied from Wikipedia). From the Herald on Saturday, July 9, 2011. Enu Mainigi, his lawyer, defended him in the contract dispute against Columbia/HCA in 2000, in which he pleaded the fifth 75 times, and in the 2010 whistleblower lawsuit against Solantic, the chain of urgent care clinics Scott founded and recently sold. She is one of his advisors in Tallahassee. From The Miami Herald on his veto of the state’s funding for FarmShare. Patricia Robbins, as cofounder of FarmShare, a nonprofit organization that sorts, packs and distributes food throughout Florida, Robbins was smacked hard by Gov. Rick Scott’s recent veto of $750,000. That money is crucial to help pay for refrigeration of food and transporting it from here to North Florida. Pantries at churches and synagogues, soup kitchens, senior centers and homeless shelters throughout the state depend on this program. Now farmers will have to get creative to qualify for federal payments for donated food because FarmShare’s program has been crippled. Will the farmers pay for the refrigeration and transport of this produce? How many South Florida farmers are making big bucks in this economy to do that? Or will they be forced to dump the food they can’t sell because the vegetables are a bit small or too big for the market — just dump it in the landfill? What was Scott thinking? Talk about clueless. To continue; Scott killed the high speed rail project but approved the controversial Sun Rail project in Orlando. This wins him points with the Orlando business groups, now they owe him and this man needs favors to call in if he wants to run for a second term. His approval rating is the worst of any governor in the 50 states. Where are this man’s morals. He does not care about people. His actions show a complete disregard for people and their welfare. He is a millionaire with nothing to worry about. He is screwing state workers and teachers, while paying his staff about 4X what an average state worker makes. He has made 1,300 state employee redundant, many of them making less than $30,000 per year. Big savings, these employees cost less than his campaign. His policies are designed benefit the wealthy and penalize anyone who works for living. He pledged to bring jobs to the state. What type of jobs he did not say, but given his record will he count flipping burgers at McDonnell’s as production line jobs to show his policies work. Given his history, can you trust an announcement from Tallahassee. He was elected by a minority of Florida voters. A failure to vote was a vote for Scott and many failed to vote. To answer the question of why he wanted to be governor? That is for the reader to answer. The state will survive his tenure, but in what shape?